In a shocking revelation, the plans of the world's third largest retailer, the £60-billion Tesco Plc, to set up its first cash-and-carry format store in India have hit a roadblock with the Karnataka Government refusing to issue the company licence for sale in the State of food products, including vegetables. Is this an indication that it will be bumpy road ahead in India for such retailers in the future if other states follow suit? If we remember, this is what had happened to Reliance Fresh when it had come to Bengal. They had met political resistance from the Forward Bloc, a Left Front partner. The local traders had staged a dharna and broken the shop windows by pelting stones in protest. Well, they were not wrong. The threat were for real as so many would lose their livelihood. But the matter was soon solved with the intervention of government and problems ironed out. Now, when the UK-based Tesco was planning to set up its first store in Bangalore, the State Government has refused to grant licence to sell agriculture produce including grains and vegetables bowing to pressure from local traders. “We are still evaluating the situation but it is unlikely that we will start our first store in Karnataka,” Ms Leonie Morris, Director, Corporate Affairs, Director, Tesco India, told Business Line. Ms Morris, the official spokesperson of Tesco India, further said that while no “finite decision” has been made so far because of the rapidly changing situation in the State, the UK-based Tesco, a global grocery and general merchandise retailer, might now look at setting its first cash & carry format store in other States. “We are investigating our other options, which could include Maharashtra,” Ms Morris added. Tesco, whose core business and strength is based on selling agriculture produce including grains and vegetables to restaurants, hotels and other such establishments and hence it does not want to move away from such a model. “We, however, want to make it clear that we are very much committed to long-term relationship in India,” the spokesperson said. The Germany-based Metro Cash & Carry was the first such company that set up its stores across India including in Bangalore. But even it was difficult for them as it had to move the Karnataka High Court, for licence to sell commodities and other agriculture produce. The court stayed a Government Order disallowing the company to sell commodities. But Ms Morris termed the Metro's case as one-off and pointed out that it did not apply to other foreign companies that planned to set up such cash & carry stores in Karnataka. Any other foreign retailer will have to abide by the Government Order, she said. Tesco, who has successfully been exporting food as well as non-food products from India, and having over £270 million worth of such products in 2010 , expects the share of food products to increase this calendar year. It expects to export 15 per cent more of such products this year. 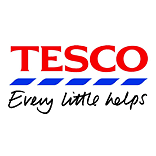 Tesco also has an arrangement with Tata Group's Trent in India and supplies products on a wholesale basis to Star Bazaar retail outlets across the country.